This is the year I finally learned to love winter. In Texas the seasons are: almost summer, summer, still summer and Christmas. 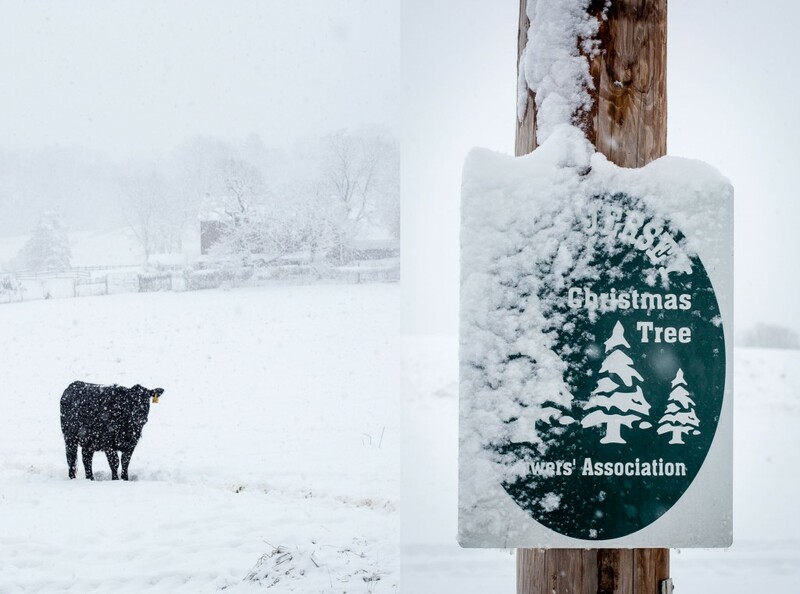 So my first winter spent in the northeast U.S., those many years ago, was a shock to my system mixed with wonder and joy at the novelty of the abundant snow. That year the winter weather lingered long into spring leaving me feeling, novelty or not, I might have made a mistake in venturing out of the familiarity and warmth of the south. But subsequent winters were far milder. Sometimes, much to my surprise, I found myself disappointed there was not MORE snow. 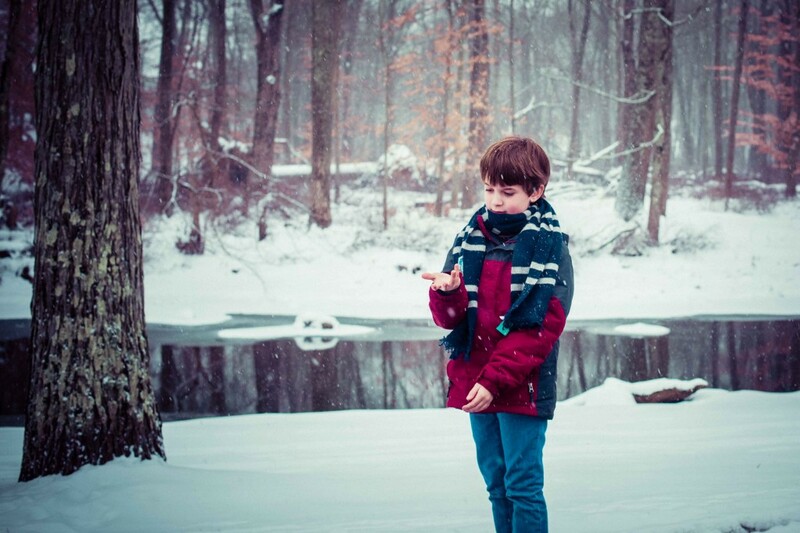 It was a creeping, unconscious adaptation to a climate with four distinct seasons – winter not the least among them. This year the winter seems never-ending. The roads have potholes, the school vacation days are quickly disappearing from the calendar and the longing for spring grows stronger every day. But no amount of complaining will change the inevitable coming of winter snow. And this year I finally have learned to accept and embrace it. Shh, don’t tell anyone, but when others bemoan the next storm, I am quietly rooting on the snowfall. 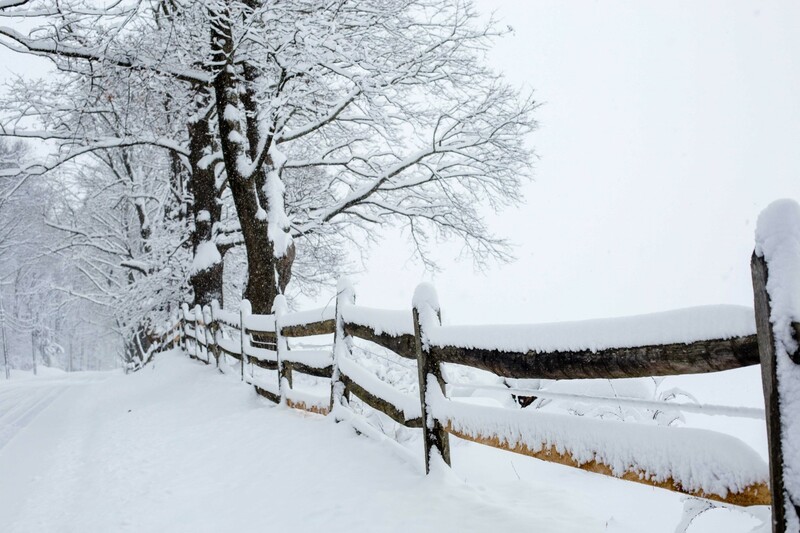 In spite of the inevitable inconveniences of the season, there is strange comfort in the quiet, forced sequester at home while the snow envelopes the world around us. 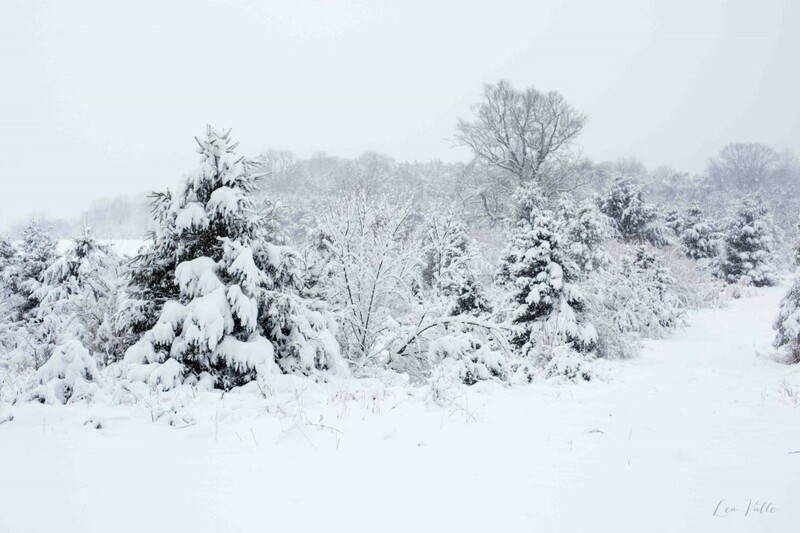 I look forward to the quiet drives around town drinking in the peaceful landscape blanketed in newly fallen snow. I relish visits to the neighboring cows who seem only mildly perturbed at the cold, strange white matter covering them and their home fields. Even the time sitting at my desk peering out at the peaceful falling of new snow is a time to appreciate, rather than curse, the essence of winter in all its glory. Taking in the world made new, camouflaged as a cloud. 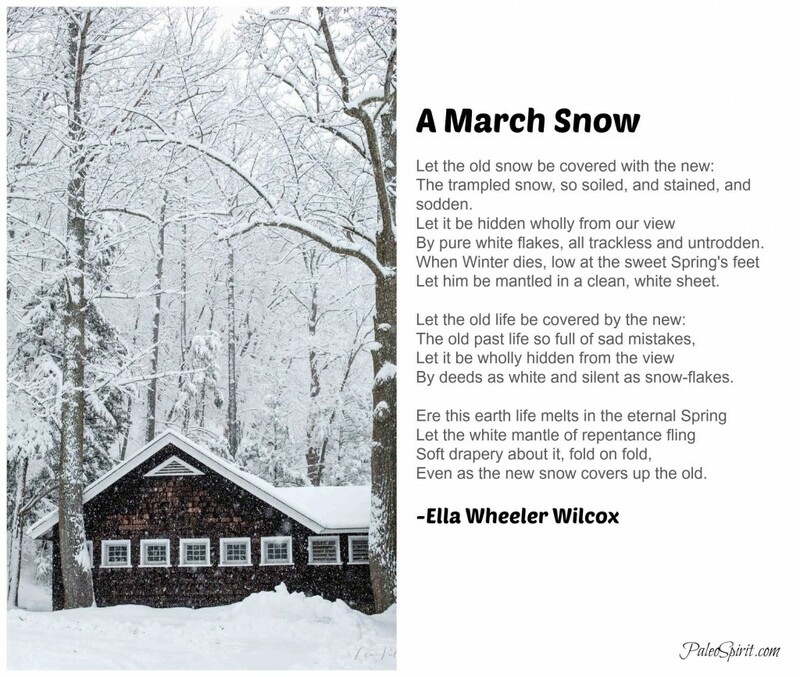 So if you find yourself in the dead of winter lamenting the snow, take a moment to reflect. 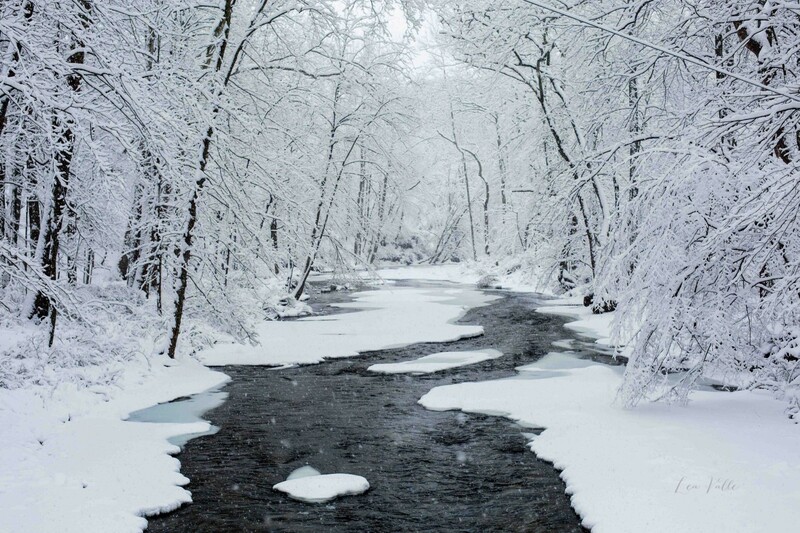 Because if you have even a hint of the mind of a poet, you might agree that newly fallen snow, covering the old, is not only beautiful but a sermon itself on the beauty of repentance. 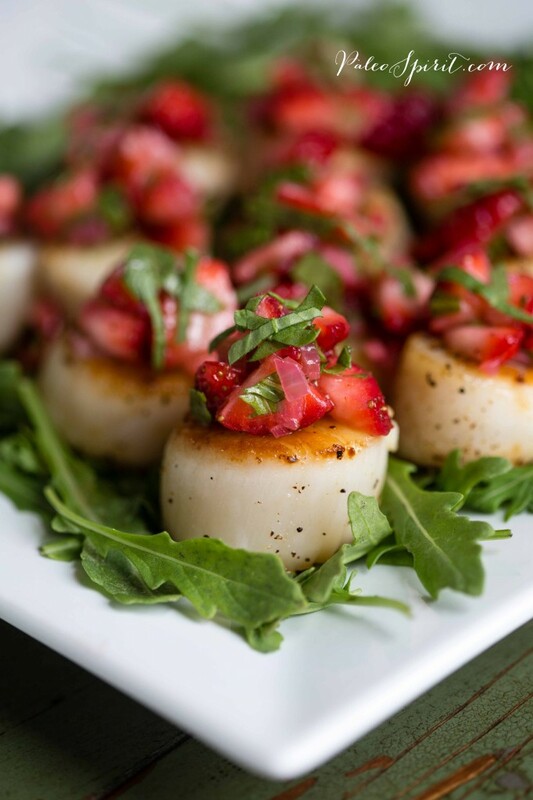 The bright flavors and cheerful colors of seared scallops with a sweet and sour topping of strawberry relish are sure to shake you out of any winter doldrums you might face. It is also the perfect recipe for summer when there is an abundance of fresh, sweet strawberries. 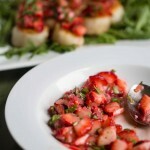 Serve the seared scallops with strawberry relish as an appetizer or a salad. Enjoy! Heat 2 teaspoons of olive oil in a pan on medium heat and sauté minced shallots for two minutes – being careful not to burn. Remove shallots to a bowl and allow to cool. Add the diced/minced strawberries to the bowl of shallots along with the remaining ingredients: vinegar, salt, pepper and minced arugula. Rinse the scallops under cold water and pat them dry with a paper towel. Sprinkle with salt and pepper on both sides. Heat a frying pan over medium-high heat for a few minutes. Add the olive oil (ghee or butter) and allow to heat for a few seconds. Carefully drop the scallops into the pan – leaving space between them. 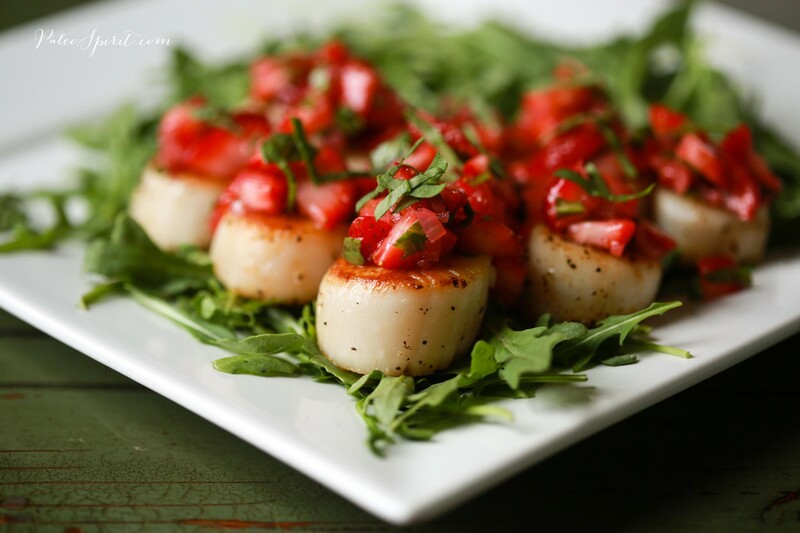 Sear for approximately 2 minutes on each side – You might need more or less time depending on size of your scallops. The scallops are done when they have a golden brown crust with a translucent center. Remove the scallops from the pan and set them aside. 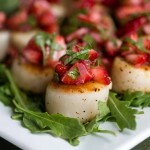 Top each scallop with a bit of the strawberry relish and finish with a chiffonade of arugula for the presentation. Serve as an appetizer or as a salad on top of a bed of arugula with extra strawberry relish on the side. 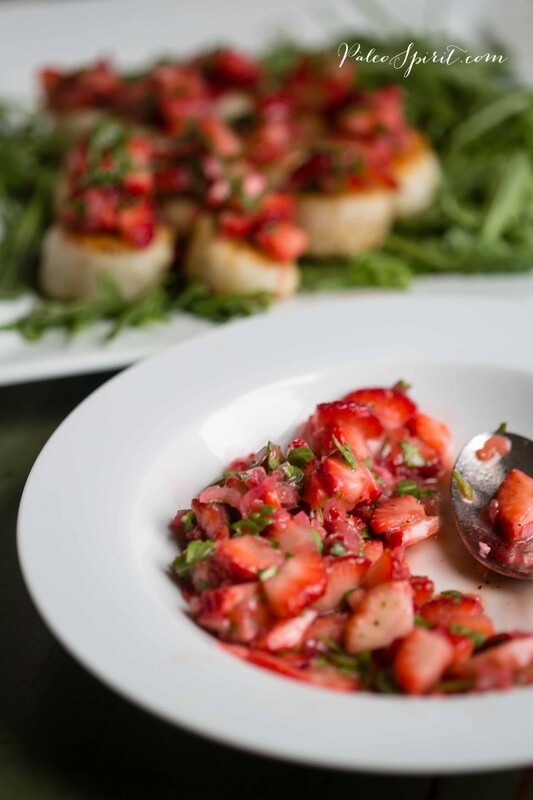 8 Responses to "A March Snow and a Recipe: Seared Scallops with Strawberry Relish"
Your presentation of these scallops is as beautiful as the poetic description you write of in March Snow. I’ve never had scallops but this makes me want to try them. 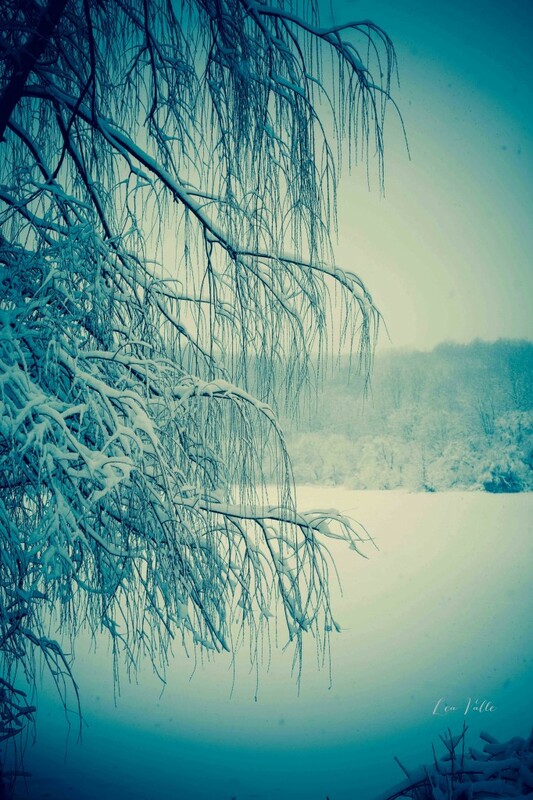 And I will now look at snow with a new set of eyes, and a renewed heart thanks to you. This looks so good I am printing it out before trying it, knowing it will be fantastic. What a beautiful twist for scallops, and just in time for Lent. 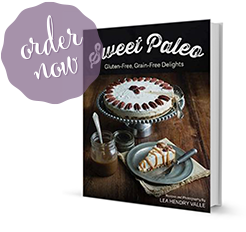 And by the way, your recipe for Paleo chocolate chip cookies with walnuts (pecans for me) saved me on this Paleo road. Can’t thank you enough for sharing all you do. You are a blessing to so many. God bless you. Once again your photos and words are so lovely! Thanks for the beautiful post. I liked the poem both versions (youtube spoken but cannot see by whom) and have to wonder if I could ever look forward to winter storms. Hope to try the recipe when I find some scallops. You and your blog are awesome. Bravo, Lea! I, like you, have learned to appreciate winter this year. Bring on that one, final snowfall! Thanks for your perspective. So, what’s the secret to getting a brown crust on the scallops? Every time I’ve tried to do pan-seared scallops, I end up with a “boiled” scallop because as soon as the scallops hit the hot pan, they start releasing liquid. If I try leaving them on long enough to get brown, they end up overcooked. There are a couple of “secrets” to getting a golden color to the scallops without overcooking. First of all you need to make sure your pan is hot. I suggest getting the pan to medium-high THEN adding some cold oil. Let that heat a few seconds before adding the scallops. 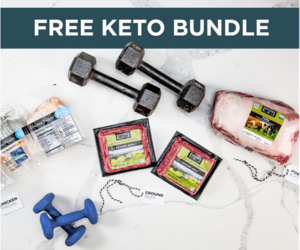 They should sizzle a little when you put them in the pan – don’t move them until they are ready to be flipped over. Also, you cannot crowd them too closely together – that will lead to them boiling because of the moisture they release. Following those tips should help you get a better result. Good luck! Did these tonight. The strawberry relish is perfect. For Janet: I use a cast iron skillet, and get it good and hot. I like cast iron because it has a lot of mass to keep the temp high. I add 1-2 tsp. ghee to the skillet, which should melt almost immediately, and then sear the scallops in small batches. Properly seasoned cast iron does all the work: caramelizes the scallops perfectly and, if you tilt the pan after a minute or so, the scallops tell you when they are ready to turn because they will move. Don’t flip them until they move when you tilt the pan. 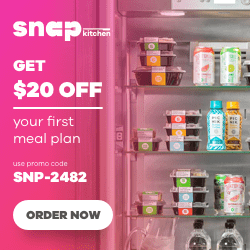 Pull them out when the second side releases and drop them on the bed of arugula. The scallops will be slightly undercooked but the residual heat should finish them up.